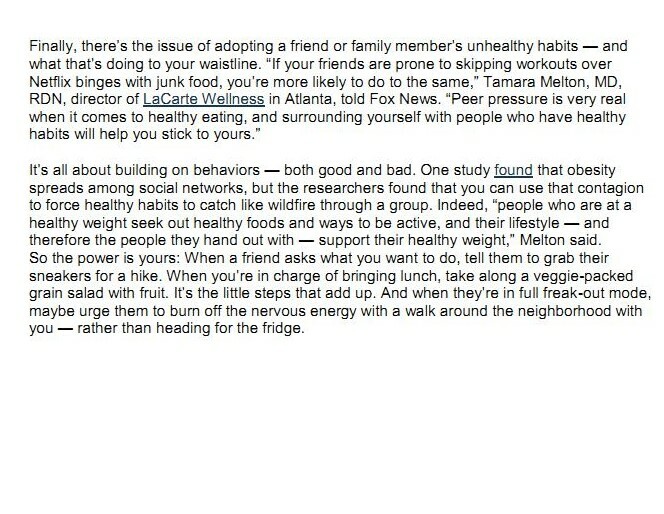 Fox News: Are your friends making you fat? If you find that you overeat when emotionally overwhelmed or turn to sugar, carbs, and junk food to soothe, you may be a food empath. Empaths are highly sensitive people that absorb the stresses and emotions of others into their physical bodies. Food empaths absorb the stresses of the world into their own bodies and then overeat as a result. Diets are often ineffective for empaths who are unaware that they are eating as a result of the stress and negative energy they are feeling or have absorbed from others. 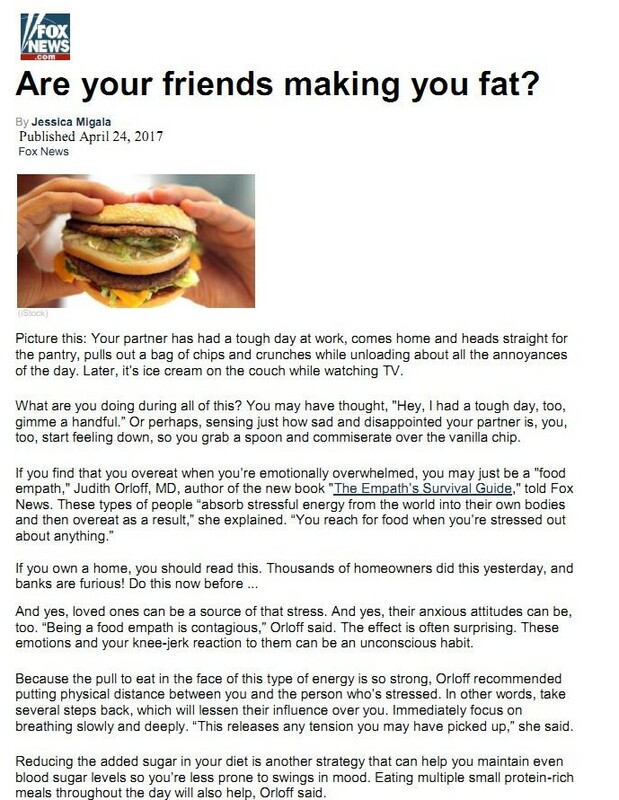 In this article by Fox News, I share what it means to be a food empath and steps to minimize the impact that stressful people and situations can have on their health and eating habits. More information about Food empaths can be found in the book, The Empath’s Survival Guide: Life Strategies for Sensitive People. Read the full article on Fox News here.